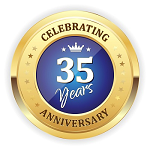 Our 18th Year of Offering This Exceptional Golf Experience! Nestled amidst the windswept sand dunes and towering pines, golf does not get any more breathtaking than Sandpines Golf Links. Sculpted by nature, this wonderful scene provided a delightful canvas for world-renowned golf course architect Rees Jones to create a magnificent array of holes. Bringing the natural feel of the pine forest and crystal blue lakes into play on the outward nine gives one the feel of golf commonly found on the Monterey Peninsula or the woods of the Carolinas. 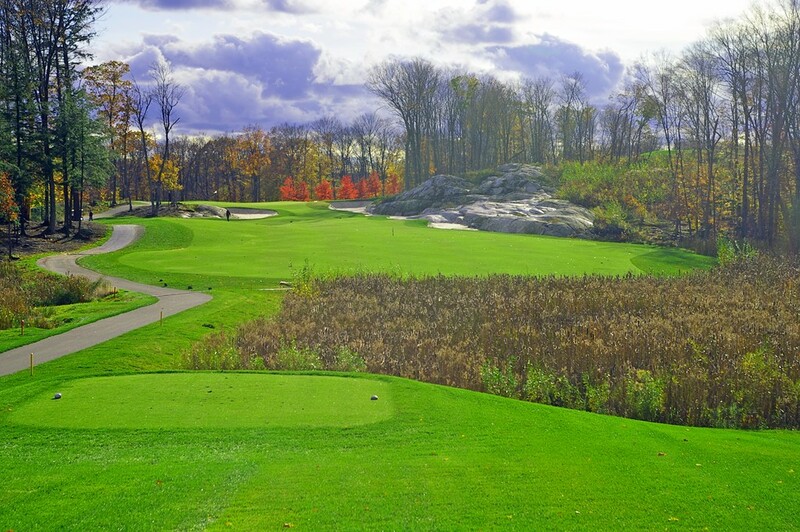 The inward nine takes you back to golf's more traditional arena - the links land. Using the natural lay of the land, Jones brought the dune element to the forefront of the game from tee to green. Windswept yet generous, this track offers beginners and experienced golfers alike a chance to challenge their skills and indulge their senses. This phenomenal golf resort boasts 5 uniquely designed and different courses. 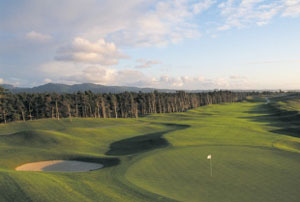 The first golf course at Bandon Dunes is a links course built on a beautiful stretch of sand dunes perched 100 feet above the Pacific Ocean on the Southern Oregon Coast. Designed by Scotsman David McLay Kidd, seven holes run along the edge of the bluff overlooking the beach and all eighteen holes offer breathtaking ocean views. If you've never played in Scotland or Ireland, this may be the first chance you've ever had to play a true links courses. The sand dunes and indigenous vegetation have been left untouched, creating a distinctly natural feel. 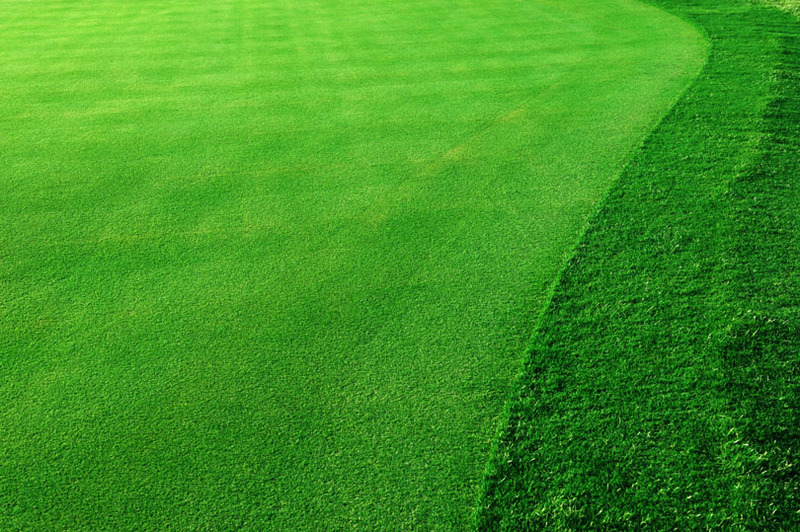 Fairways and greens are large to allow for the prevailing wind. Its all walking here but it is "golf as it was meant to be." 1 round at The Reserve Vineyards Golf Club, Aloha, Or. 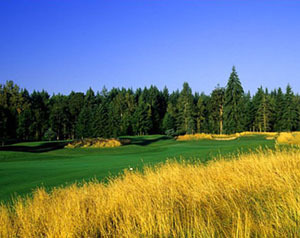 1 round of golf w/cart at Pumpkin Ridge Golf Club - Ghost Creek Course, Cornelius, Or. 1 rounds of golf w/cart at Sandpines Golf Links on the Oregon Dunes, Florence, Or. 2 rounds of golf at Bandon Dunes, Bandon, Or. 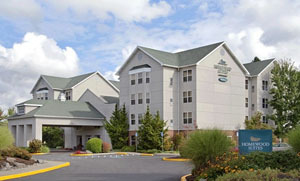 2 nights at The Homewood Suites, Beaverton, Or. 1 night at The Driftwood Shores Resort and Conference Center, Florence, Or. 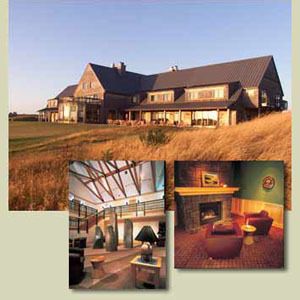 2 nights at The Lodge at Bandon Dunes, Bandon, Or. Arrive Portland for p.m. checkin for 2 nights at The Homewood Suites, Beaverton. Why not run it right up the road to TopGolf and get some shots in before your big adventure? Morning tee time at The Reserve Vineyards Golf Club. Second night at The Homewood Suites. Morning tee time at Pumpkin Ridge Golf Club- Ghost Creek. Then, depart for the coastline for an approximate 150 mile drive to Florence, Oregon, for checkin at The Driftwood Shores Resort Lodge for 1 night. Afternoon is free to relax or explore this most beautiful section of the Oregon coastline. Morning tee time at Sandpines Golf Links on the Oregon Dunes. 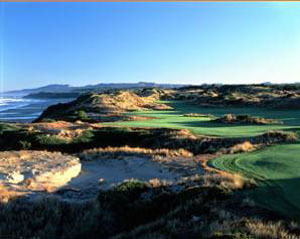 Then, a leisurely afternoon drive to Coos Bay for check in at Bandon Dunes Resort. Morning tee time at Bandon Dunes Golf Course. Second night at Bandon Dunes Resort. Morning tee time at Pacific Dunes Golf Course. The rest of the afternoon is free to make your way back to Portland for your return flight home. OR, you may wish to fly out of Eugene instead to save some drive time. Perhaps get in another 18 at Bandon Dunes Resort. Typical high season rate for staying in a Dune Single guestroom at The Inn at Bandon Dunes. Rates may be slightly higher depending upon accommodations grade/room type available. The above starting rate is for high season stay and play from May - October. 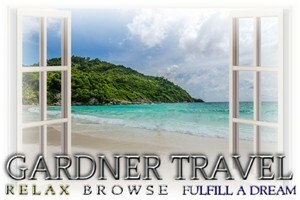 Low season rates available upon request. Enjoy the comforts of home in a two-room suite with a fully equipped kitchen and free WiFi. Start your day at this hotel with complimentary full hot breakfast each morning. Relax and unwind at Evening Social* with lite fare Monday through Friday while enjoying complimentary local Willamette Valley wines and Oregon beer in the newly renovated lodge. Take advantage of the new outdoor patio area, with two built-in grills and space for a family cookout. 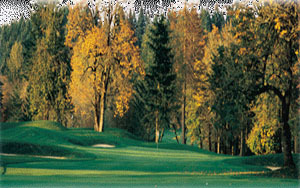 This is a great location to base in the Portland area to play both Pumpkin Ridge AND The Reserve Vineyards Golf Clubs. In the heart of the Oregon coast... Spectacular ocean views from every room... Ten miles of un-interrupted beach for strolling... Golfing, horseback riding, fishing, and the Oregon dunes nearby... And when you've come in from the beach, enjoy the heated pool and jacuzzi - or enjoy the view and a fine bottle of wine at the Surfside Restaurant and Lounge. Just a short drive from the property is Sandpines Golf Links on the Oregon Dunes, where you will enjoy a very pleasant warm up round of surprisingly challenging golf before your next stop at Bandon Dunes. Play well here and you will be tuned up for Oregon's finest! Accommodations provide a refuge of relative seclusion. Chrome Lake Rooms offer double king and two-room suites. Lily Pond Rooms offer two queen beds, while the Lodge offers single rooms and two suites, many with dramatic golf course views. The Grove Cottages are designed specifically for a foursome of golfers, with four private rooms and a shared parlor and patio. Located on the property are two full service restaurants, lounges, golf shops, hot tub, sauna, exercise room and locker rooms. A 32-acre practice center allows you to hone every shot required at Bandon Dunes and features a one-acre practice putting green and bunker practice area. The Lodge at Bandon Dunes is the center of activity at the resort and includes 17 single rooms, each with one queen bed, and three 4-bedroom suites. Some rooms have golf course and ocean views, while others have views of the dunes and surrounding woods. Also located in The Lodge are the Gallery Restaurant, Tufted Puffin Lounge, Bunker Bar, fitness center and Lodge Gift Shop. Adjacent to The Lodge are McKee's Pub and the Golf Shop Pavilion. The Lily Pond Rooms offer the best value for overnight lodging at Bandon Dunes. Just a wedge shot from the Lodge, a paved walking trail connects the Lily Pond Rooms to the Lodge and first tee at Bandon Dunes. 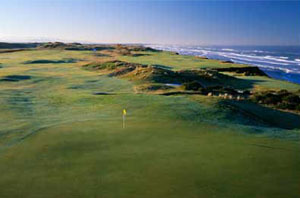 A shuttle is available to take you to Pacific Dunes, the Practice Center, or any of our restaurants or lounges. The Lily Pond Rooms are very spacious and include two queen beds, a sitting area, fireplace, bathroom, and private deck overlooking the Lily Pond and surrounding forest. Upstairs, each Chrome Lake Loft offers a spacious sitting area and two bedrooms. In the sitting area, a vaulted ceiling opens the room to two adjacent alcoves, one with a fireplace and the other that serves as a card room. Bedrooms include king beds and private bathrooms. Each loft overlooks the lake or surrounding forest. Downstairs, each Chrome Lake Room includes two king beds, a private bathroom, fireplace, and a view of the lake or surrounding forest. In the spirit of Golf As It Was Meant To Be, these four-bedroom cottages are designed specifically to house a foursome. Grove Cottages include four bedrooms, each with a king bed, private bath and a parlor — the largest room in any of our accommodations at Bandon Dunes. Built into each bedroom and parlor are floor-to-ceiling corner windows that offer pristine views of Round Lake to the east, the Lily Pond to the West, or a garden setting. Guests will enjoy an indoor fireplace and outdoor patio tucked into Bandon’s natural landscape. The Grove Cottages are located just east of the accommodations at the Lily Pond and just south of those at Chrome Lake.